Brady Agri Contractors Ltd is a leading Co. Galway-based farm contracting firm specialising in round baling, pit silage, reseeding, slurry and muck spreading, lime spreading, hedge cutting, mulching, land drainage and reclamation, groundworks, plant hire, and turf cutting. 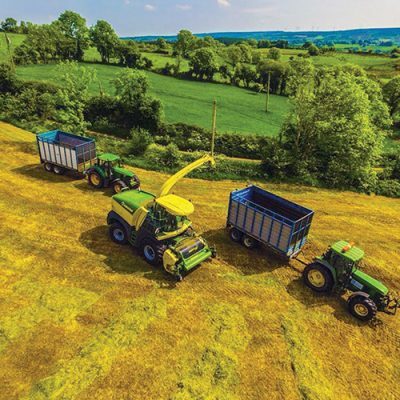 Operating from Castledaly, Peterswell in south Co. Galway, the origin of this family-run business dates back over 30 years when pit silage harvesting was carried out with an outfit that centred around a tractor and double chop harvester. 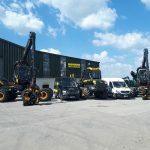 The business has come a long way since then, now providing a top class agricultural contracting and plant hire service. We provide a complete service and have many long-term customers within a 25km radius of Castledaly. 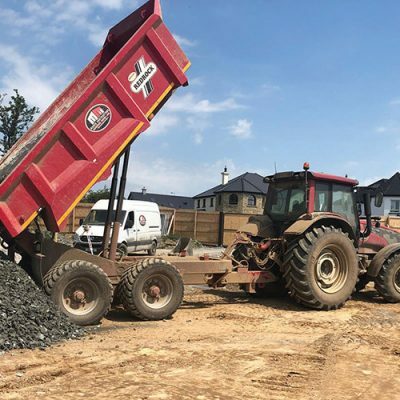 Continuing to go from strength to strength, Brady Agri Contractors Ltd has an array of machinery to carry out your work quickly and efficiently, providing you with value-for-money and an alternative to investing in your own expensive equipment. The company’s success is down to the knowledge, skill and expertise of its staff as well as the quality of its machinery. The Brady family deliver the value and quality farmers expect from their agricultural contracting partner. 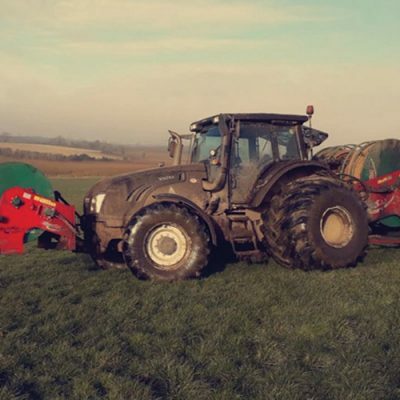 “The silage season entails approximately 1,200 acres of pit silage and 17,000 bales,” Colm Brady explains. All machines are maintained regularly in the Brady’s fully equipped workshop to minimise breakdowns and downtime. 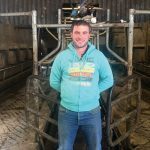 They also enjoy an excellent relationship with P&D Agri Services Ltd Kilkerrin, Paraic Dwyer Agri & Auto Parts Kilconnell, Murphy Agri Machinery Headford, DH Farm Machinery Gort, Mitchell Machine Spares Loughrea and Whelan’s Garage Loughrea. 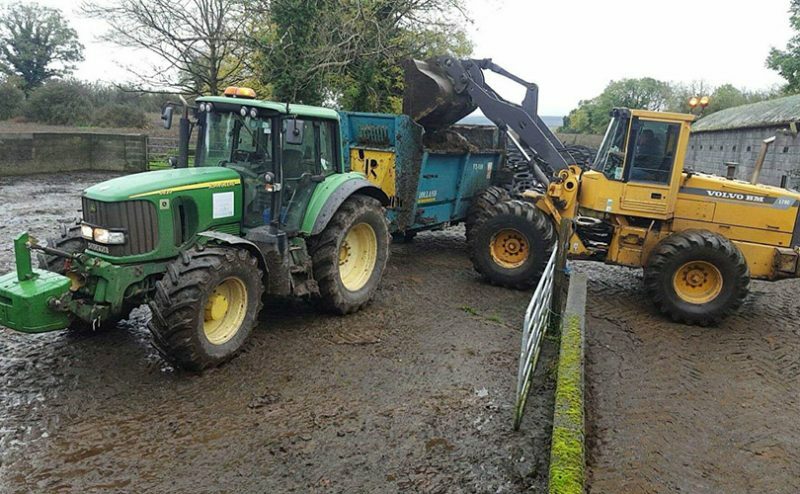 Brady Agri Contractors Ltd is a member of the FCI (Farm/Forestry Contractors Ireland). 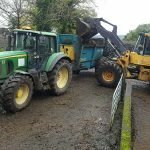 Run by contractors for contractors, the FCI’s objectives are to represent agricultural contractors at the highest level with politicians and the Department of Agriculture in Ireland and Europe; to promote good contractor / farm relationships; to promote the benefits of a good agricultural contracting service; to provide members with knowledge and courses to help them run their businesses; to provide a good working relationship between contractors. The company retains long-time customers and attracts new ones by offering a professional, fully insured, punctual, reliable, clean and economical service. “We would like to take this opportunity to thank our valued customers and suppliers for their continued support. We’re always at the end of the phone for them. 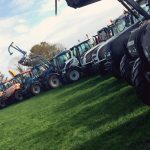 We’re committed to looking after their agricultural contracting and plant hire needs and look forward to providing them with the same great service for many more years to come,” Colm concludes.